Volcano! 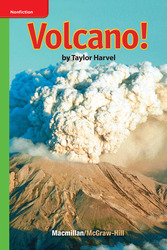 describes volcanic eruptions in detail. It explains the cause of eruptions, the effects of eruptions, and methods scientists use to predict eruptions.